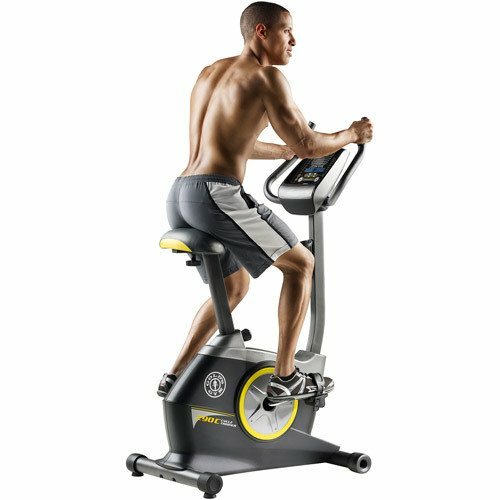 The under $300 exercise bike market is fiercely competitive, maybe that is why the Golds Gym Cycle Trainer 290C is packed with extras. Offering great value for money considering its sub $300 price, we will see if this is enough to push it to the top of our list. There are a number of nice surprises with the 290c, the first is the number of resistance levels. Most bikes in this category ship with about 8 levels. Golds have twice that with 16. Even better is that they are digitally controlled from the console, and not via a handle mounted on the frame. The workout levels integrate into the programs to help you achieve your fitness goals. The workouts contain surprise number two, as it has 14 workouts installed. Designed by a fitness consultant there are a number of objectives that can be met such as Fat Burn and Fitness. As you run through the workout the resistance level changes periodically and you have to pedal harder to keep up. As you progress the workout is followed on the console so you can see if there is an increase coming up. In addition to the 14 PT sessions there is a further, wait for it, 24 progressive weight loss workouts also available. If weight loss is your goal then the Golds Gym 290C has it all! With a large oversized saddle Golds have tried to overcome the discomfort that may feel on upright bikes. With a good level of padding Golds have made one large enough for even the largests riders. Personally I find it almost to big. Usually I exercise on a spin bike with padded shorts, which are perfect. If you just exercise in normal shorts then the seat is OK.
For a bike at this price there is a further surprise with the console. It looks the part with its blue LDC display giving workout stats such as calories burned, speed, distance time etc. In addition there is a heart rate monitor that actually gives a decent readout. Personally I would be a little wary of the accuracy in the calorie meter, as it does not ask for height or weight so its going to be based on a normal person. If you are over 180lbs then it will be understating your calories. The console also gives access to a few other features, such as an integrated two speed fan, and music via built in speakers. To run the console you will need to fit 4 D-Cell batteries, or purchase the optional power cord for about $15. Most users prefer to run on batteries, as they last a long time, and there isn’t a cord trailing up the bike. This is very straight forward, really just attaching pedals, saddle, and handlebars. It should take less than an hour before you are up and away. Where to buy the 290c? You can certainly find the Golds Gym 290c in a number of retail locations and sporting goods stores, as well as on online stores. However, we always recommend sticking with Amazon.com. The site is reliable, it provides excellent customer service, and you can get free shipping on this item that will have the product delivered right to your door before you know it. The item costs $250 on Amazon, which is a substantial savings off the list price as well. What else is there to love about the Golds 290c? Quite simply, for the price (under $250) this bike offers so much! It looks great, certainly better than the price tag would suggest. It’s well built and offers a solid range of workouts. 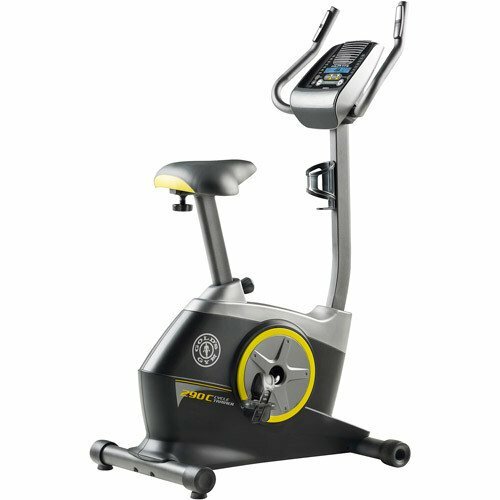 What are other reviews saying about the Golds Gym 290C Exercise bike? The bike has been well received by its customers scoring a respectable 4.2 out of 5 stars. A number of points were liked such as, its near silent running, easy assembly and good looks. Not really, apart from the separate power cord getting in the way (although you can use D Cell Batteries) this is a great bike for a good price. Our Verdict: A great choice whether losing weight or improving Fitness! I really like this bike, it looks good and feels good with a nice smooth motion. 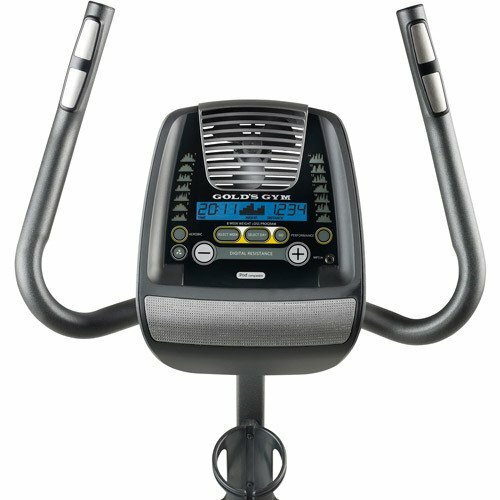 It is very similar to the Schwinn 270 Upright bike, and it would be hard to decide between the two. If you are into your weight loss then Golds might be the better option, for just fitness then Schwinn may have the edge. At less than $300 its hard to find a bike with more features.